Simple Guidance For You In Competitor Website Analysis. What is competitor website analysis why should you need to do an analysis of your competitor's website. Advantages and benefits of competitor website analysis, I will also share with you how to do competitor website analysis, and tell you about the best tools of competitor website analysis. So stick around this article and keep reading I am going to discuss the following things with you. To go to the websites listed above your website or appears on the top of search results for your targeted keywords. It is very helpful to optimize your website and also help to improve its effectiveness. You can make your website more user-friendly and search engine friendly by analyzing your competitor's website. Following are the main reasons why should you must need to do competitor website analysis. To Improve Visual Structure of Your Website. In the process of competitor website analysis when you visit your competitor's website you mostly focus on the following things. What kind of theme or template your competitor has on his site. The layout of your competitor's website like positions of header footers and sidebars. What kind of Gadgets and widgets your competitor has used on his site. images of that specific post you are analyzing. What kind of sub-topics your competitors focused on. What kind of heading and subheading your competitor have used in that post. What kind of affiliate programs your competitor is promoting on that particular post. 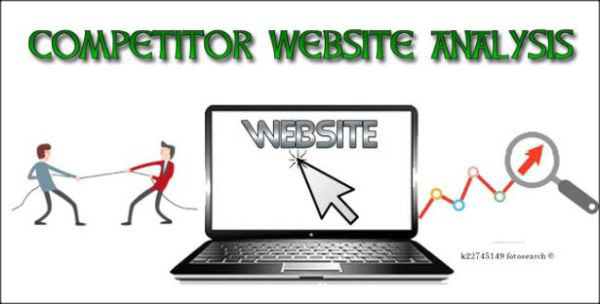 When you will visit your competitor's website you will also read the content of your competitor's website. and you will notice two of the following things. Things you are better than your competitor. you also notice things you are weak then your competitor. leave better things aside you can make your weak points better by blending your competitor points with your own ideas. You have to find out the following things by analyzing your competitor's website. keywords for them your competitor ranked in search engine. Does your competitor use a paid promotion or not. On Page SEO quality of your competitor's website. You have to need to analyze your competitor's website in two ways. Generally visiting your competitor website. Analyze the competitor website for SEO purpose. To Find And Visit Your Competitors Website. Go to Google search and type your focused keywords one by one. Choose and copy links of top few websites those will appear under each keyword you have focused on your campaign. Visit them one by one and analyze both the visual and content health aspects. Then after analyzing your competitors improve your website where you find weaknesses on your website. To Analyze Your Competitor's SEO To Improve Your Website's SEO. To improve the SEO of your website in comparison to your competitor's website you need to find out following things of your competitor's website. 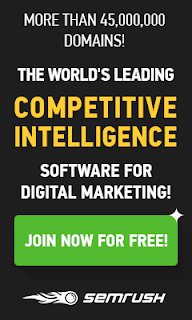 Following are the best competitor website analyzing tools available over the internet. SEM Rush is a Software as a Service Company based in Philadelphia USA which provides Search Engine Marketing Software to its subscribers. According to Wikipedia SEM rush top, customers include eBay, Quora, Booking.com, Hewlett Packard Enterprise, and BMP Paribas. 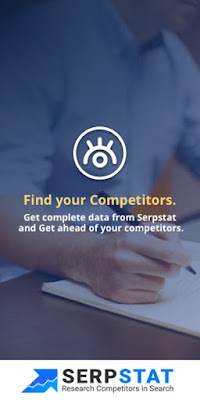 SERP stat is a Software As A Service company. It is based in Odessa Ukraine. it is all in one SEO platform. SERP Stat includes the following services for search engine marketing. website audit of the competitor's website. SERP Stat Notable customers include Shopify, Lenovo, and L'Oreal Paris. In my point of view competitor website analysis is a necessary part of the whole SEO process. By using it you actually make your both op page and off page SEO better next to your competitors on your targeted keywords. If your content, on page SEO and off page SEO is better then your competitor your website or blog post must rise up more then your competitor soon.